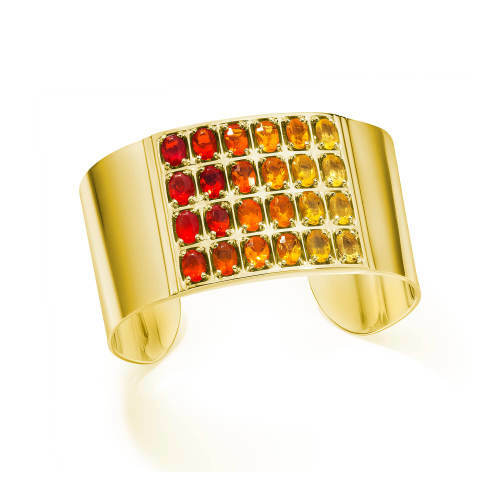 18 kt gold geometric cuff set with 24 oval fire opals. 18 kt Gold Geometric Cuff set with 24 6 x4 mm Fire Opals. Available in yellow or white 18 kt gold.